If you love creepy spots and war history, you’ll love these 7 top haunted battlefields located around the world. Known for massive bloodshed and usually a battle that could only go poorly thanks to anything from poor terrain to a giant outnumbering, these are sites that paranormal investigators have visited for years. As most of the world begins to experience the fall season, you’ll find that a lot of these haunted spots really come into their own, especially if you’re visiting around the Halloween holiday. Book a visit soon and see for yourself – you may even spot a few ghosts while you learn about these spots’ fascinating war histories! 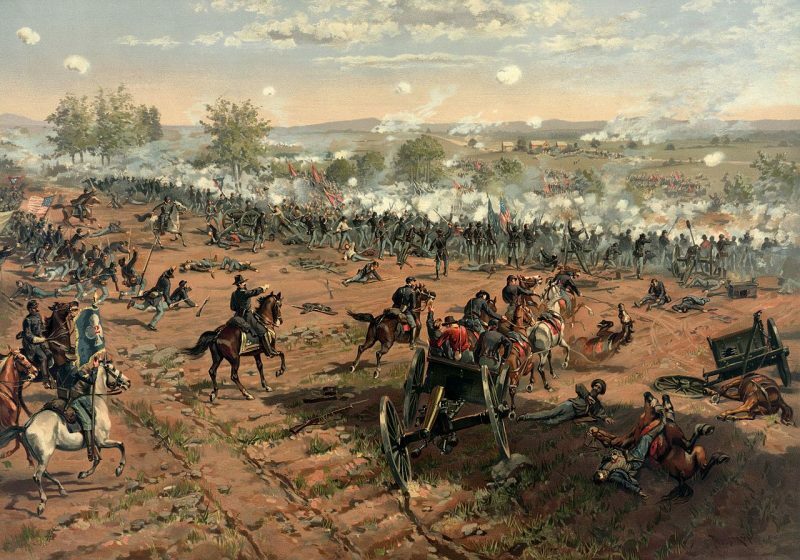 Painting “Hancock at Gettysburg” by Thur de Thulstrup, shows the battle. The Battle of Gettysburg is widely known as one of the bloodiest battles in the American Civil War. More than 50,000 men were killed, wounded or lost in action. Today, anyone who visits Gettysburg can attest to the creepy sights and sounds that you’ll find there, and you can even take a ghost tour. Some say that up to 10,000 soldiers still haunt the battlefield to this day, and it’s not just the battlefield that experiences paranormal activities. Nearby historic buildings experience it as well, especially those that were used as makeshift hospitals during and after the battle. 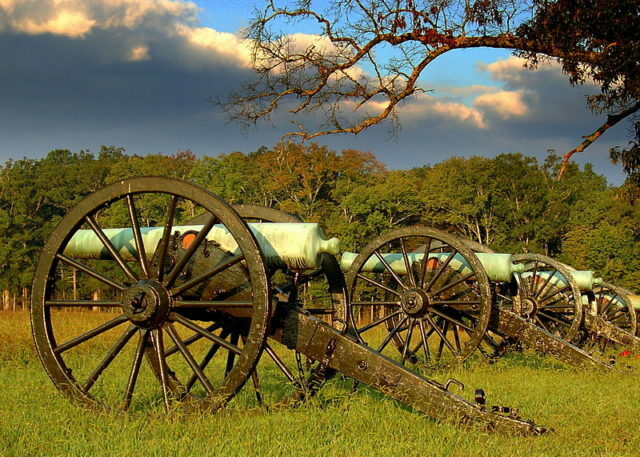 From ghostly apparitions on the battlefield to eery noises to odd lights, visitors report a wide variety of odd occurrences on the actual battlefield. In nearby buildings, anything can happen – doors lock on their own, flights flicker and objects move freely. It’s truly a hub for paranormal activity! Soldiers of an Australian 4th Division field artillery brigade on a duckboard track passing through Chateau Wood, near Hooge in the Ypres salient, 29 October 1917. The leading soldier is Gunner James Fulton and the second soldier is Lieutenant Anthony Devine. The men belong to a battery of the 10th Field Artillery Brigade. 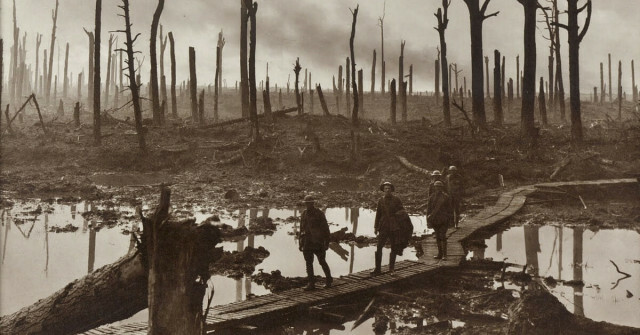 The Battle of Passchendaele occurred during World War I, near the village of Passchendaele, in Belgium. 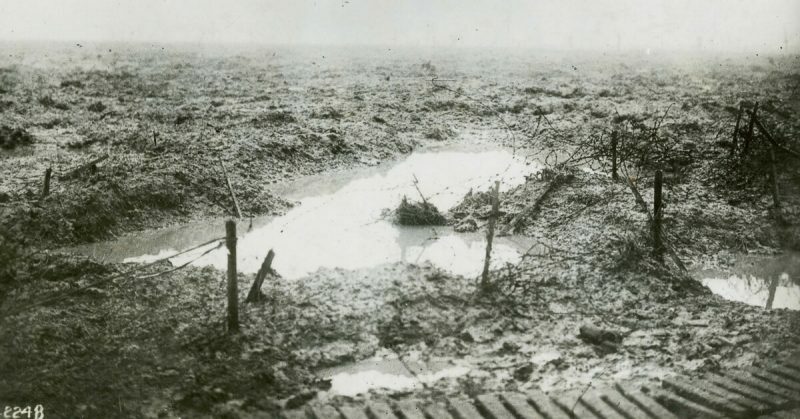 The Germans were hit with thousands of guns and shells, and aerial photographs show as much as one million shell holes in just a mile’s area of land. The offending army was made up of British forces, and Canadian, New Zealand, South African and Australian forces joined in as well. Nearly 400,000 would die on all sides. The battlefield was difficult to navigate, thanks to heavy rains and thick mud. Wooden slats were laid down to traverse the land, but one wrong slip and you probably wouldn’t be able to make it up again. Almost 100,000 soldiers who died were never identified. Now, it’s said the village is haunted with sounds of battle, screams, gunfire and other phantom noises that can be heard at random times. 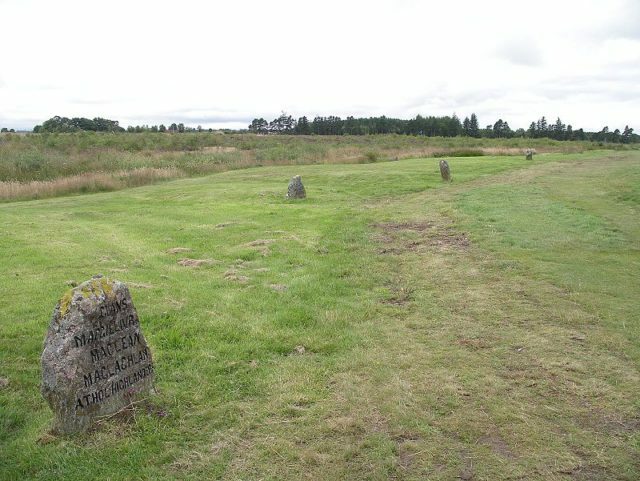 The Battle of Culloden marked the squashing of the Jacobite rebellion in the mid-1700s. The unsteady terrain and hugely unequal forces made for an easy win for Prince William, easily killing Scottish clans and the troops of Bonnie Princes Charles. Some reports say the win took under an hour of fighting. The anniversary of the battle is April 16, and it’s said that on that day, the ghostly fallen soldiers reappear, and sounds of battle, including clashing swords, can be heard. Some tales say individuals have encountered fallen soldiers on the battlefield, as well as one soldier who roams the area in a stunned state. It’s also reported that birds do not sing near the burial mounds, due to the creepy atmosphere. 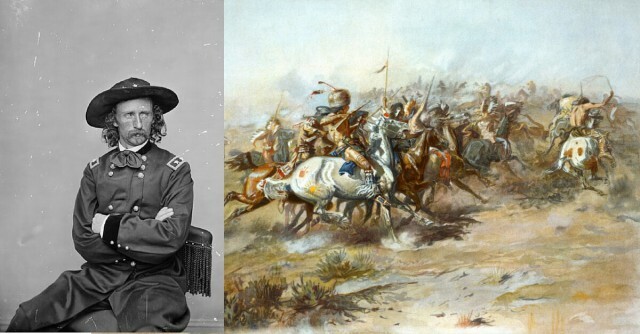 The Battle of Little Bighorn is sometimes known as Custer’s Last Stand and was a battle between United States Calvary forces and members of the Lakota tribe. The U.S. Calvary was very much so overwhelmed and defeated, in addition to being outnumbered. However, despite this, the casualties were relatively small, at about 450 total. Regardless, hauntings are widely reported here, with many guests saying they instantly become overwhelmed with a feeling of hopelessness. Others say they experience hallucinations of the battle. One groundskeeper says her on-site home was haunted by a Calvary soldier. 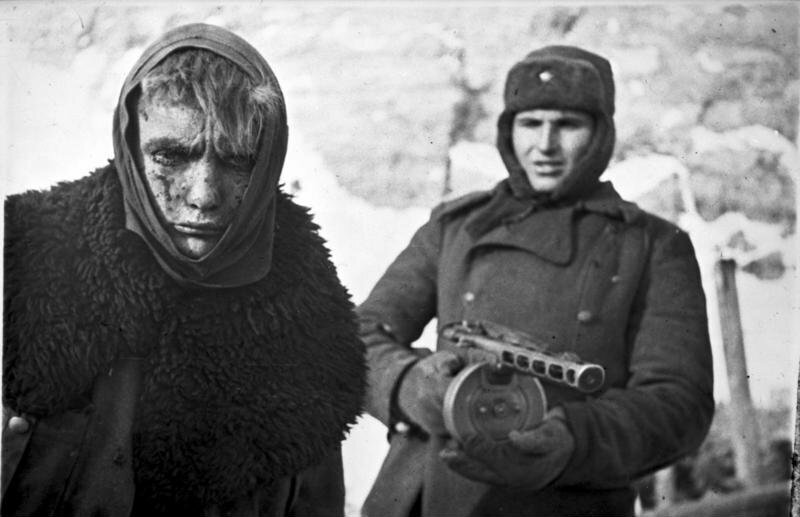 With more than 2 million deaths, the Battle of Stalingrad has been called one of the most deadly battles in all of human history. The incident saw the clash of Soviet, German, Romanian, Italian, Hungarian and Croatian troops. Nazi Germany and its allies were fighting to gain control of a Russian city. The battle lasted more than five months, with the Soviets ultimately winning. Now, entire sections of neighborhoods in the city are said to be extremely haunted by the dead. It’s reported that the dead have continued living their normal lives as ghostly figures, roaming the places where they once lived. 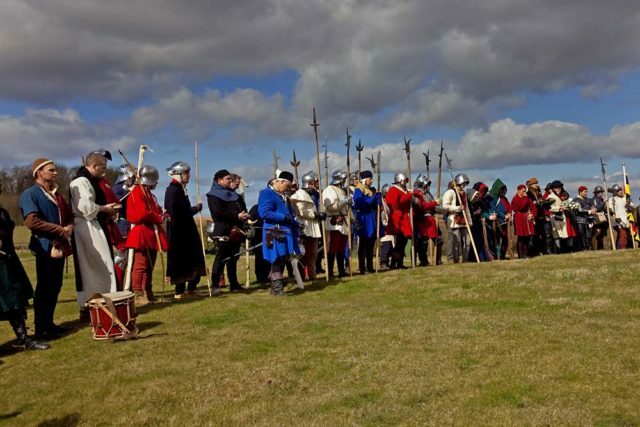 During the English Wars of the Roses, a battle took place in Towton, in the early part of the year 1461. Approximately 30,000 individuals died, in total. The battle is said to have taken place during heavy snowfall. Now, it’s reported that, every seven years, the town of Towton will experience a similar heavy snowstorm. If one walks out into the storm, to the site of the battle, they’ll see the two armies fighting for a little more than three hours. Then, they disappear for the next seven years. In northern Georgia, an American Civil War battle occurred that was one of the bloodiest of the south. However, it did result in a Confederate victory. Total losses were more than 30,000. The most famous ghost located on the battlefield is Ol’ Green Eyes, who some don’t really know how to categorize. It may be the decapitated ghost head of a Civil War soldier, or it may be a battlefield-roaming Native American creature, with long hair, fangs, and glowing eyes.